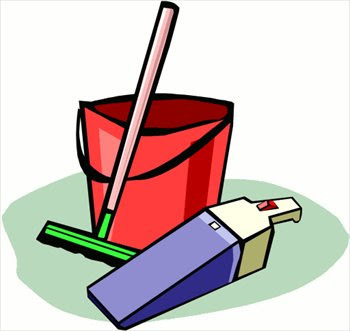 The weather was beautiful today that it gave dh and I a touch of spring cleaning. We opted to tackle the garage. Scary, I know and we did survive. One large lawn and leaf bag stuffed with leaves and a few broken items. This is the best find out of the whole cleaning experience. 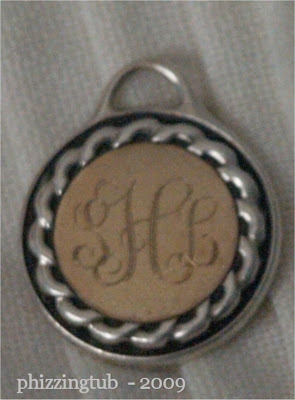 My sliver and gold monogrammed charm!! You might recall that I finally fixed it last spring and then I wrote how I lost it. Apparently, it fell out of a blanket we had placed on our freezer when we got back home. Anywho, it was by the side of the freezer and I never noticed it due to the *cough* tiny pile of packing peanuts*cough* sitting on top of it. I was sweeping them (peanuts) out when I noticed the silver sticking out. I am thrilled beyond words to have it back. You never know what you might find when cleaning out the garage.